MSW 2003 955 Oliver Rd. For general inquries, please contact us at learneraffairs@nosm.ca. 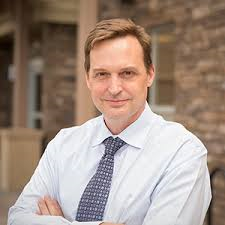 Dr. Musson served as the Director of the Centre for Simulation-Based Learning at McMaster University, and was an Associate Professor in the Department of Anesthesia in the Michael G. DeGroote School of Medicine. He received his M.D. from the University of Western Ontario in 1988, and, following a rotating general internship at the University of Toronto, served with the Canadian Forces as a medical officer and flight surgeon with tours in Canada, Europe, and the Middle East. After leaving the Canadian Forces, he practised in the fields of urgent care medicine and community mental health in Toronto, Ontario before enrolling at the University of Texas at Austin to pursue advanced studies in Psychology. Supported by a Medical Research Council of Canada post-doctoral fellowship, he received his PhD in Psychology in 2003 from the University of Texas under the supervision of noted psychologist and safety pioneer Robert Helmreich. Dr. Musson’s graduate work focused on system safety, professional culture, and team performance in aviation, space, and medicine. His academic focus at McMaster has been simulation-based education, quality improvement and patient safety in medical education, the use of simulation in telemedicine, and the training and assessment of multidisciplinary care teams in undergraduate medicine and postgraduate residency training programs. David Musson is originally from Northern Ontario, having been raised in the town of Onaping and having attended secondary school in Sudbury, Ontario.